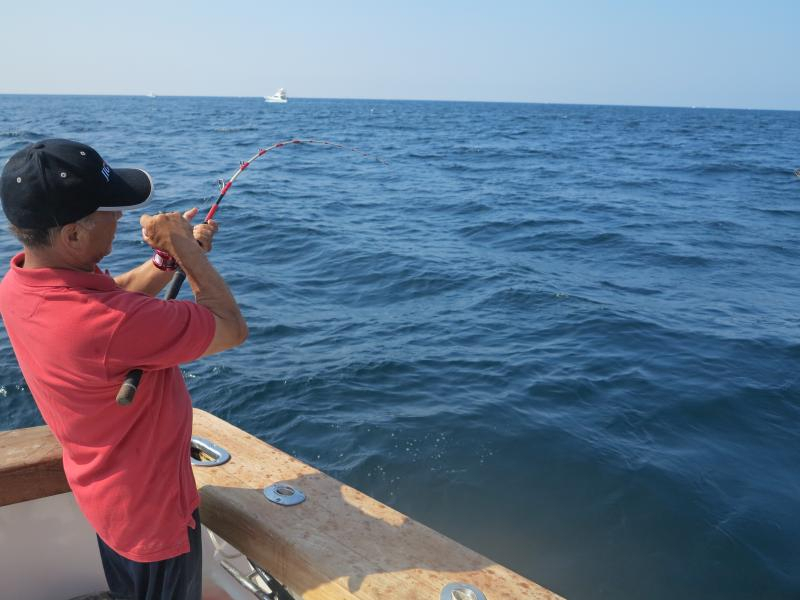 We picked up some new Penn 50’s to put on our new Calstar Custom Rods (Boomer Blanks with all Aftco Big Foot Guides), which should allow us to put out as many as 12 or more rods in our trolling spread if we opt to fish that many rods. 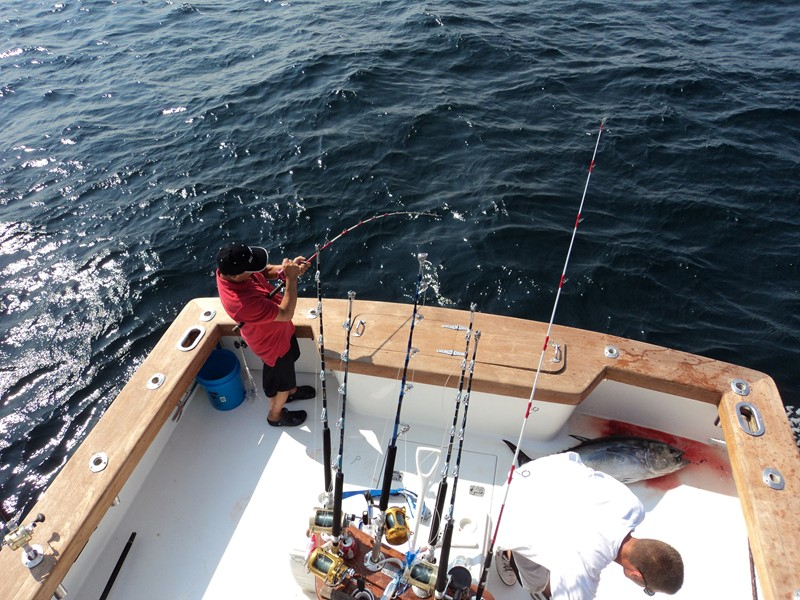 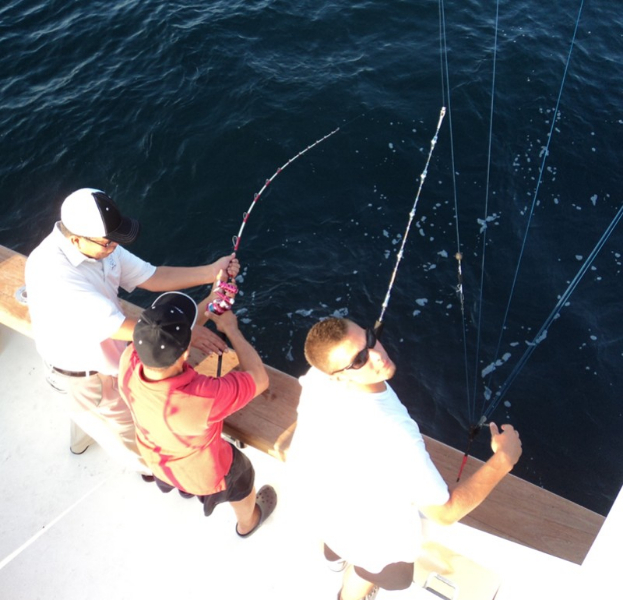 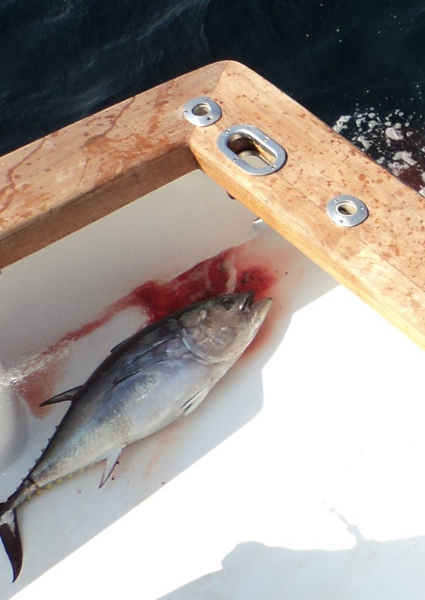 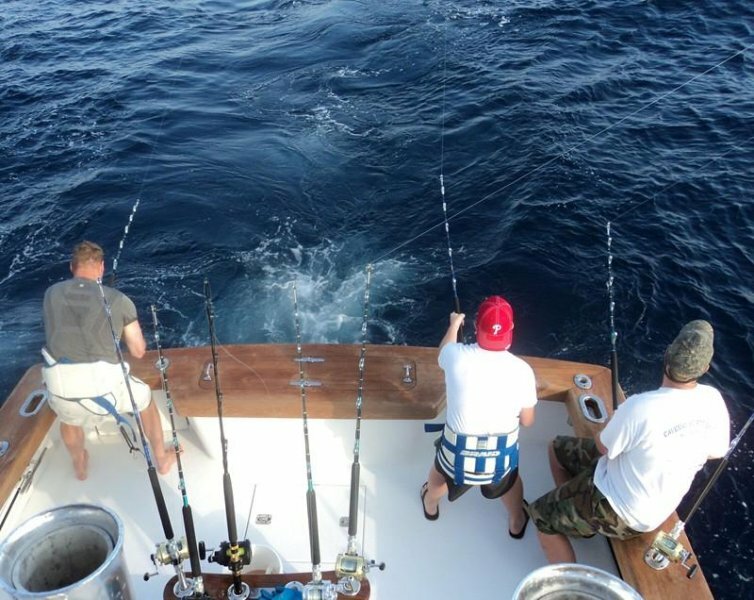 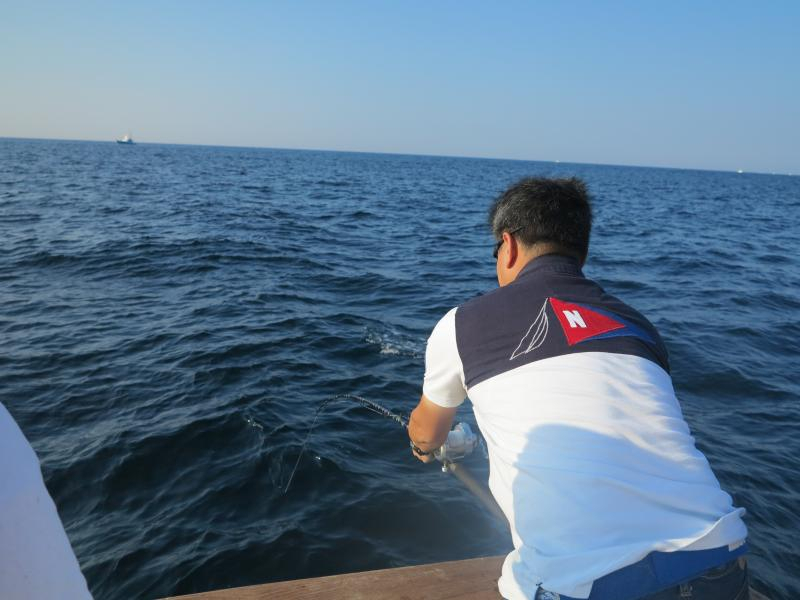 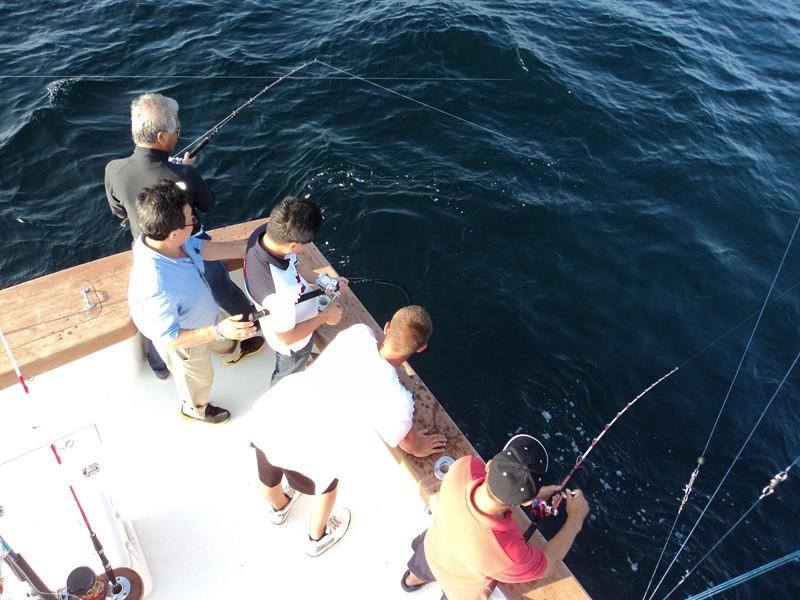 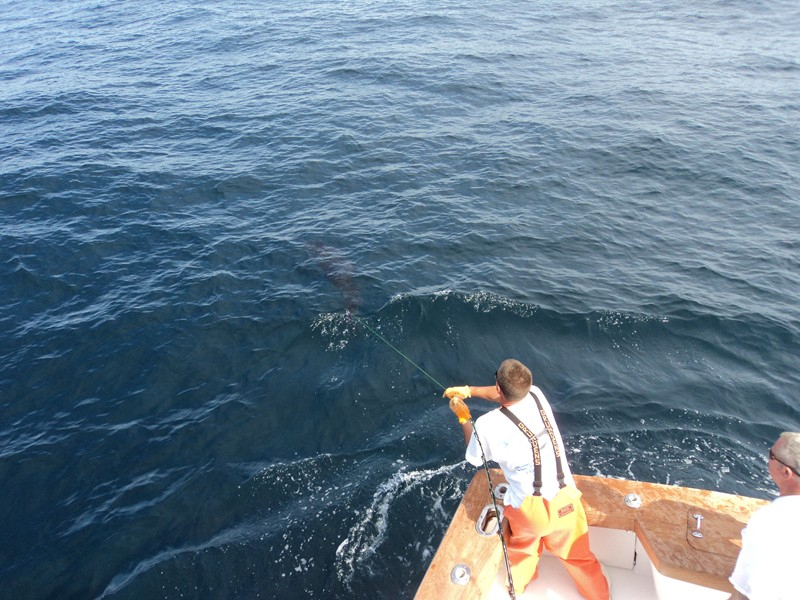 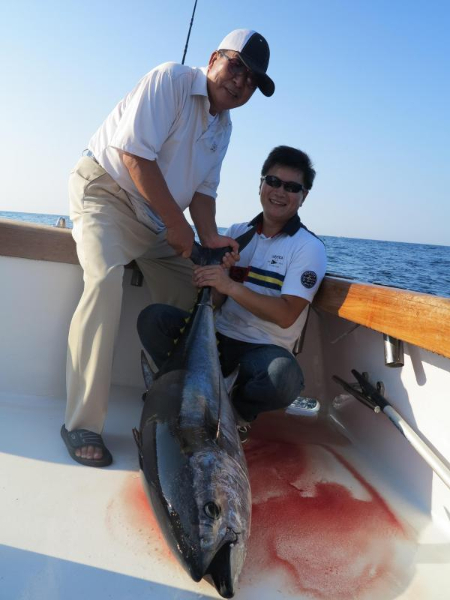 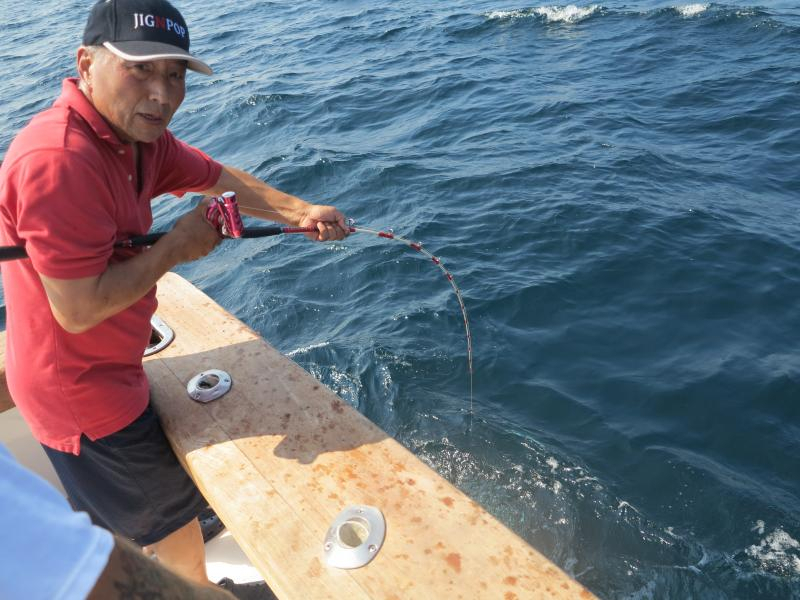 If we should get a decent Bluefin bite locally we have some of the best jigging and popping tackle on board the Hooked Up II that you will ever find on any charter boat. 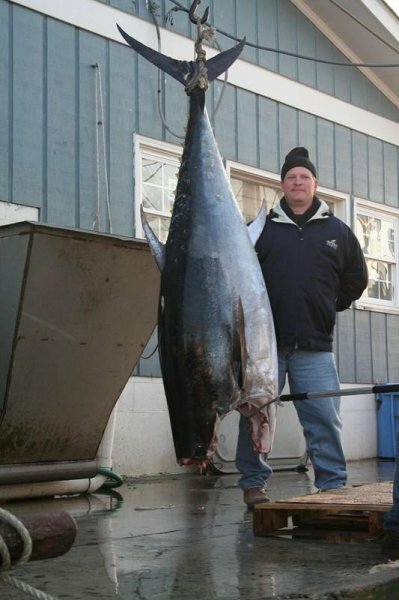 This is perfect for catching those 100 lb plus Bluefins. 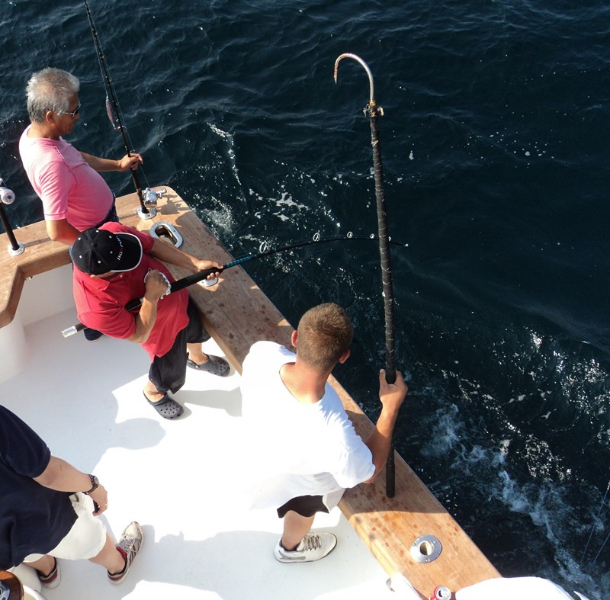 It has been more than a month getting everything ready including the upgrades on our electronics and boat maintenance, but we are ready now. 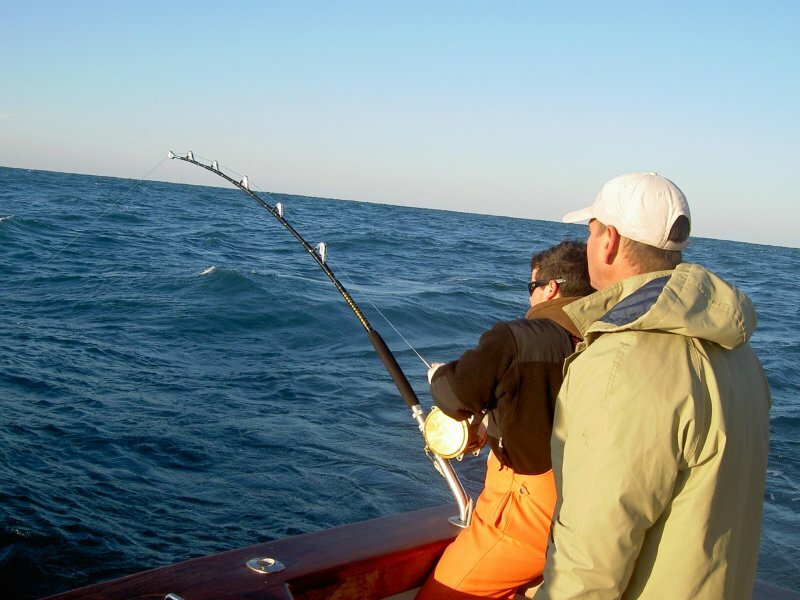 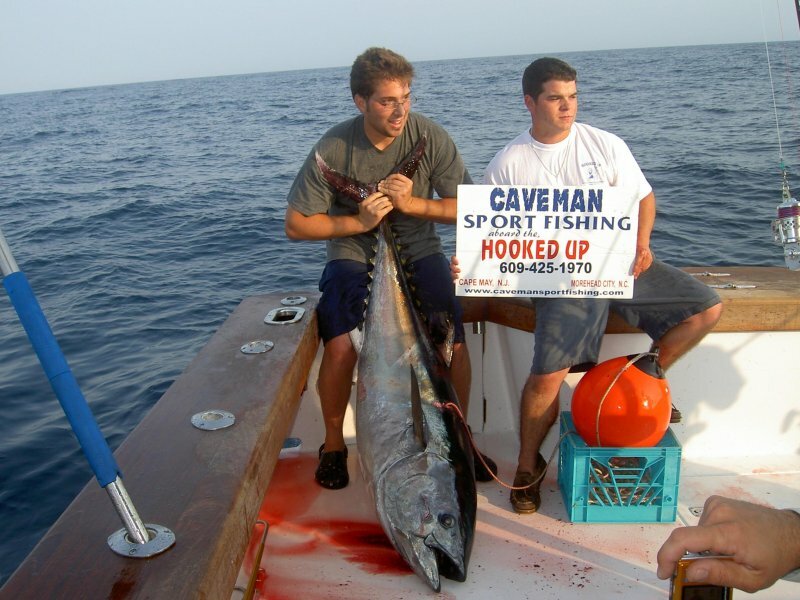 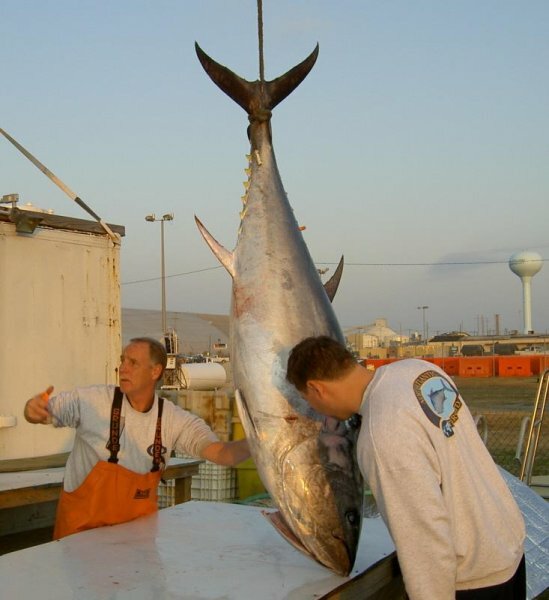 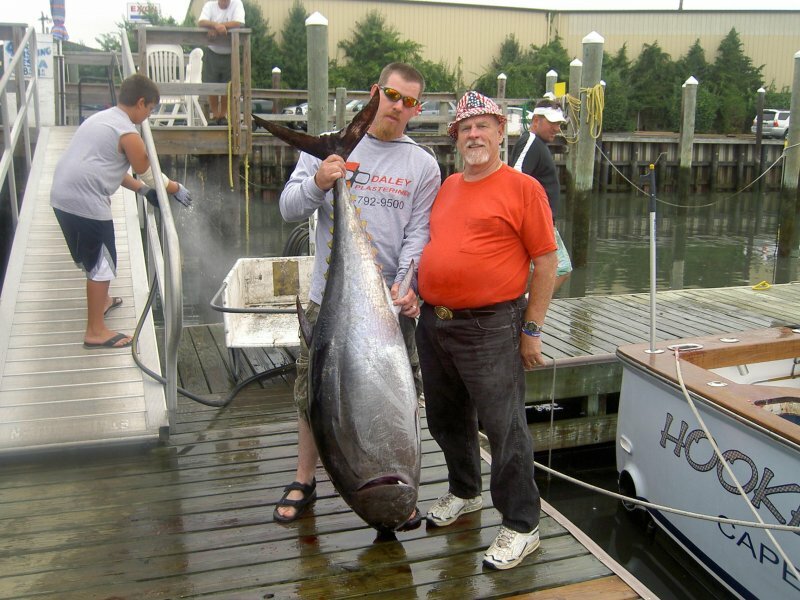 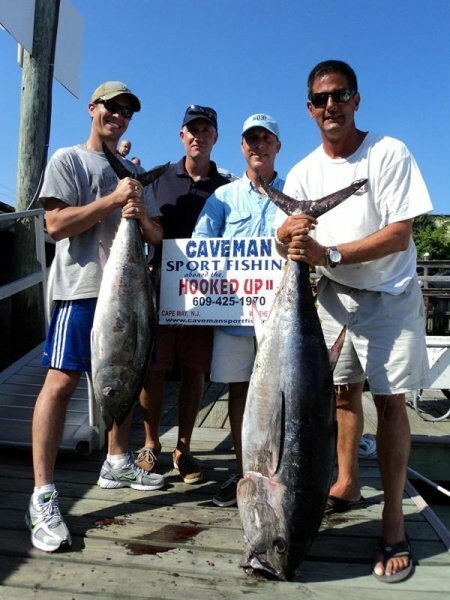 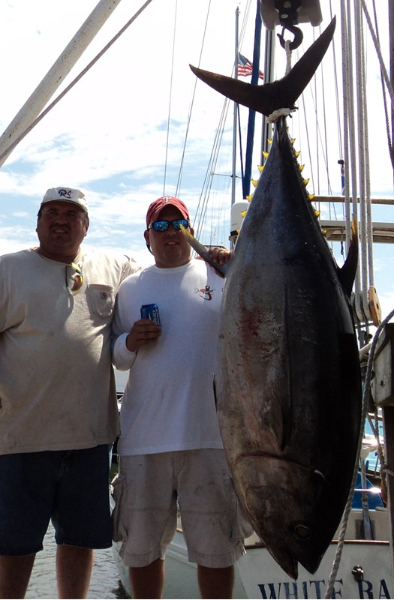 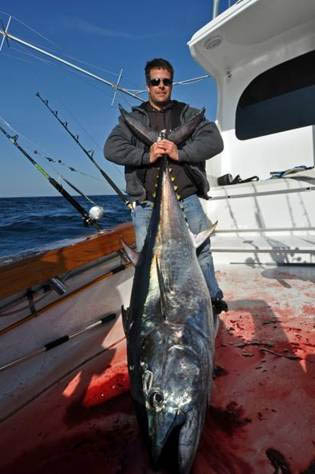 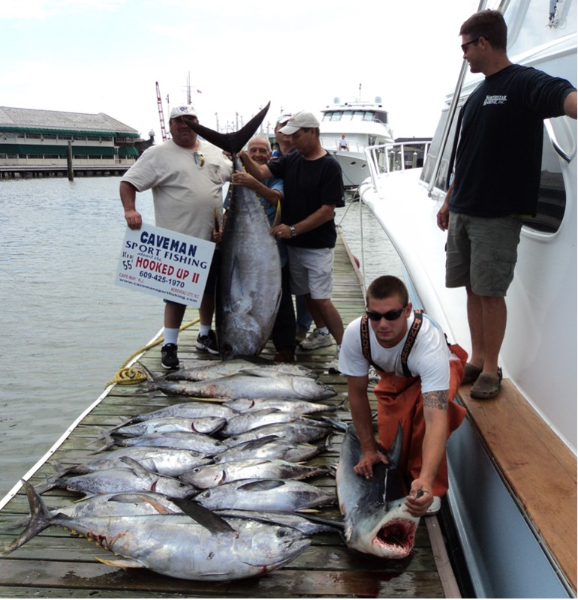 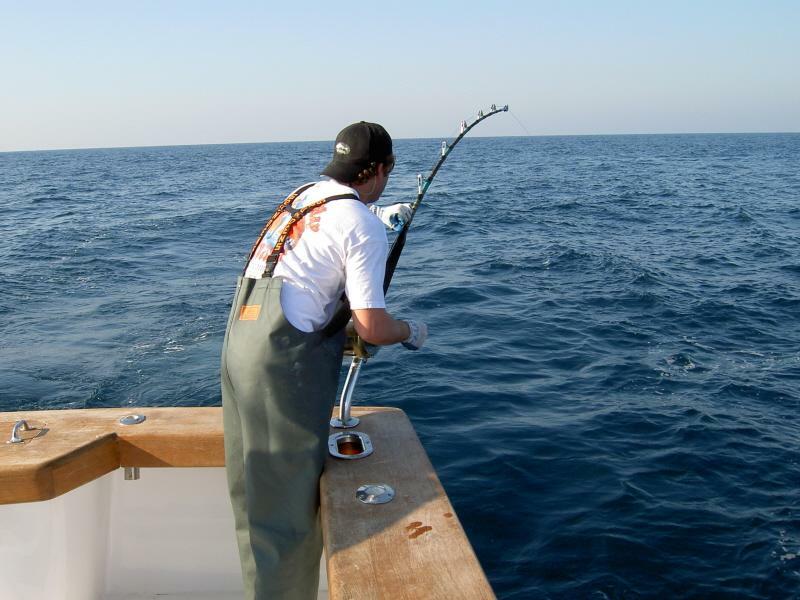 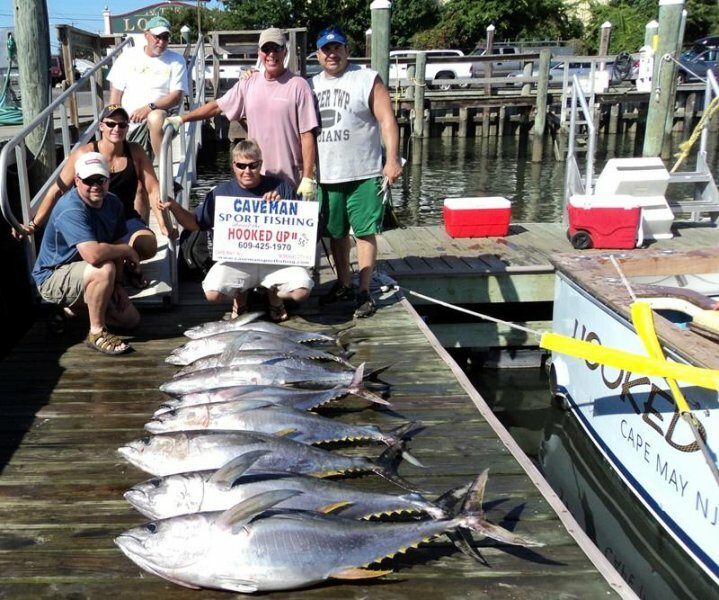 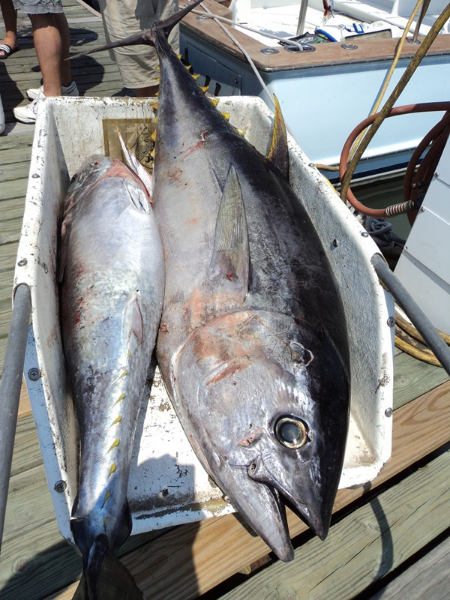 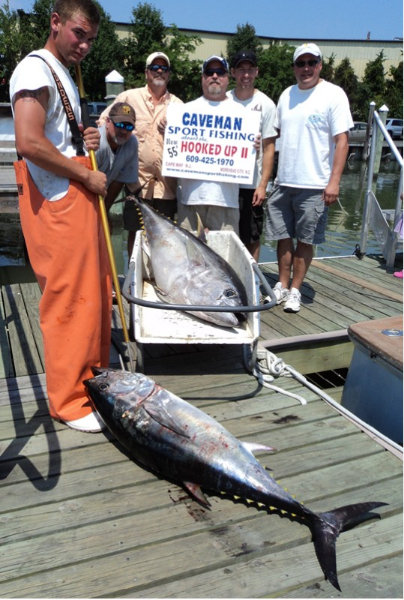 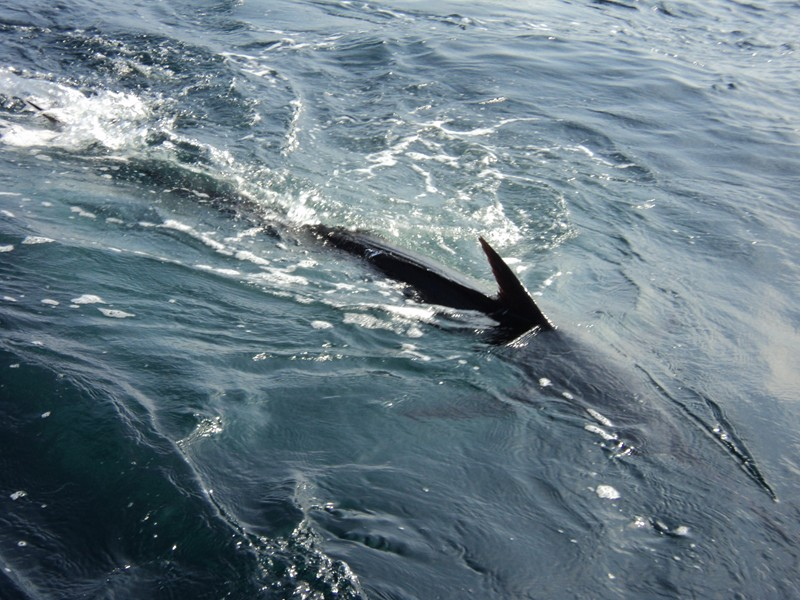 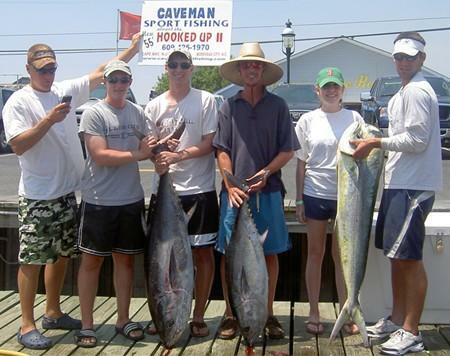 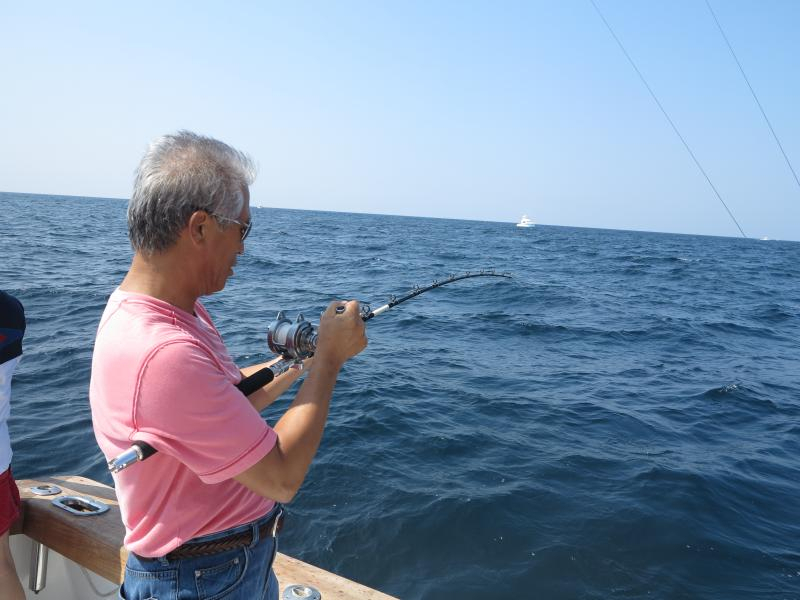 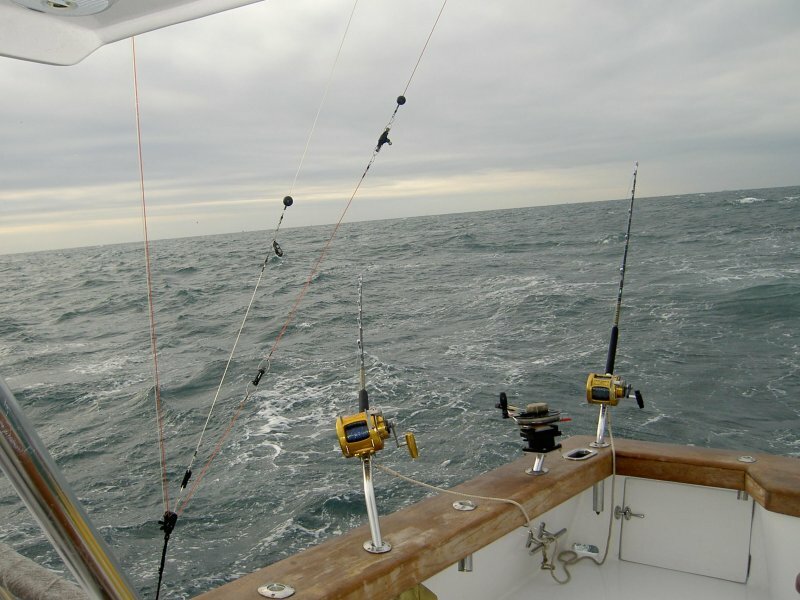 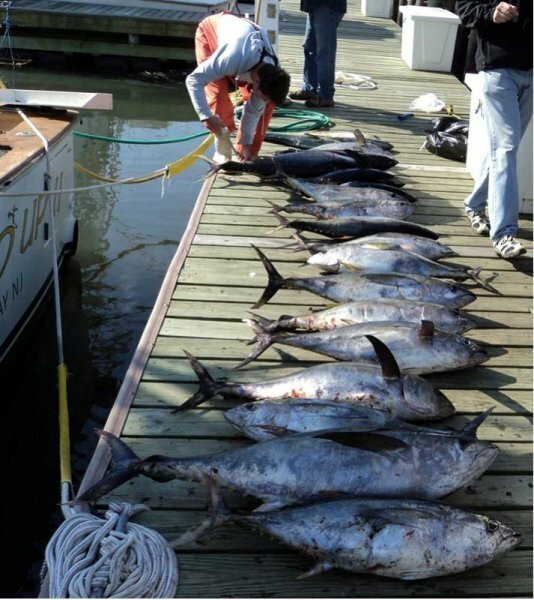 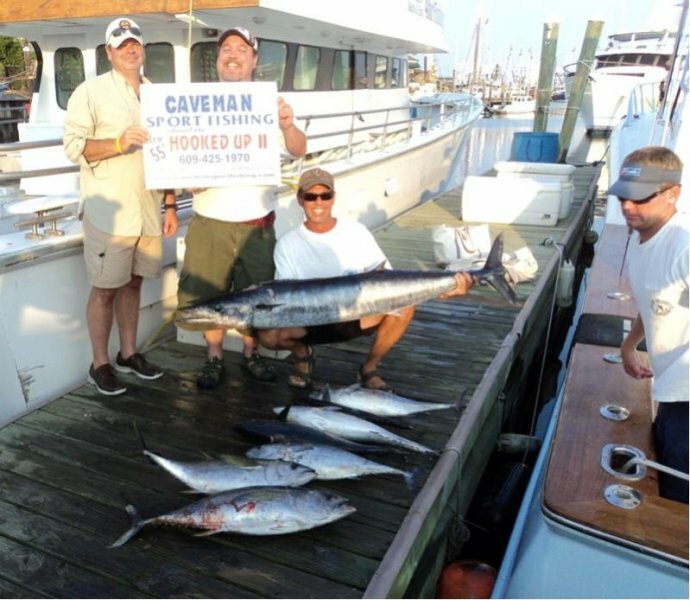 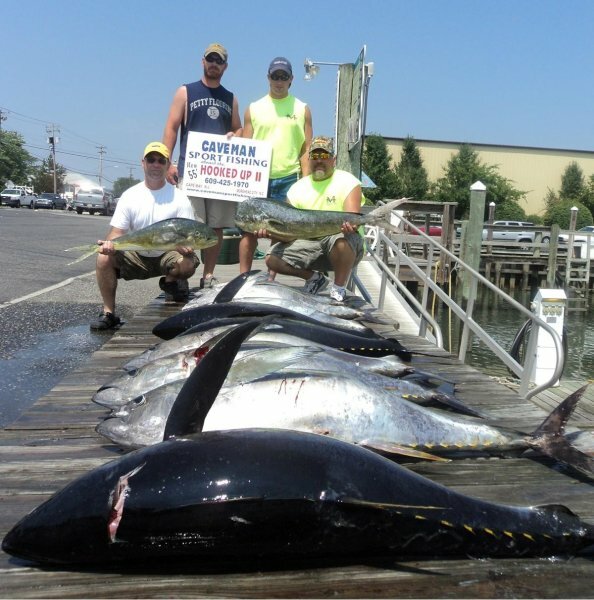 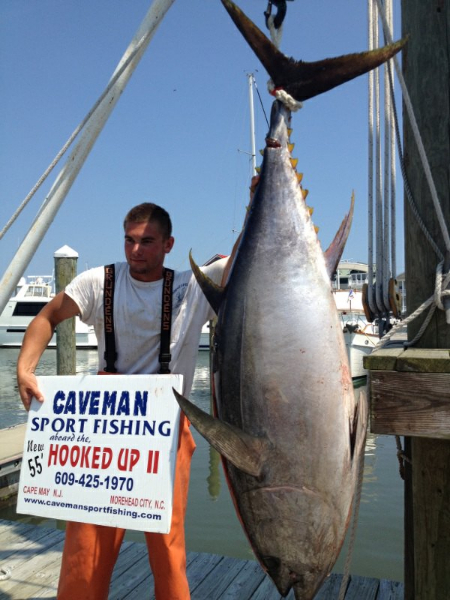 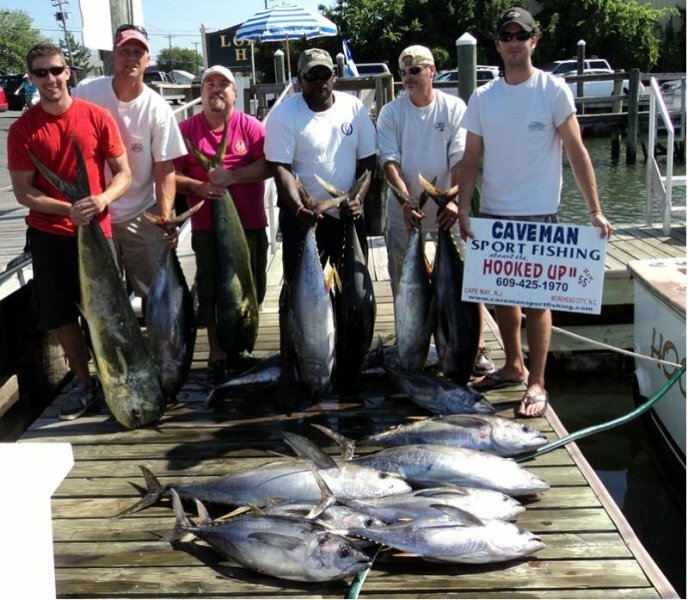 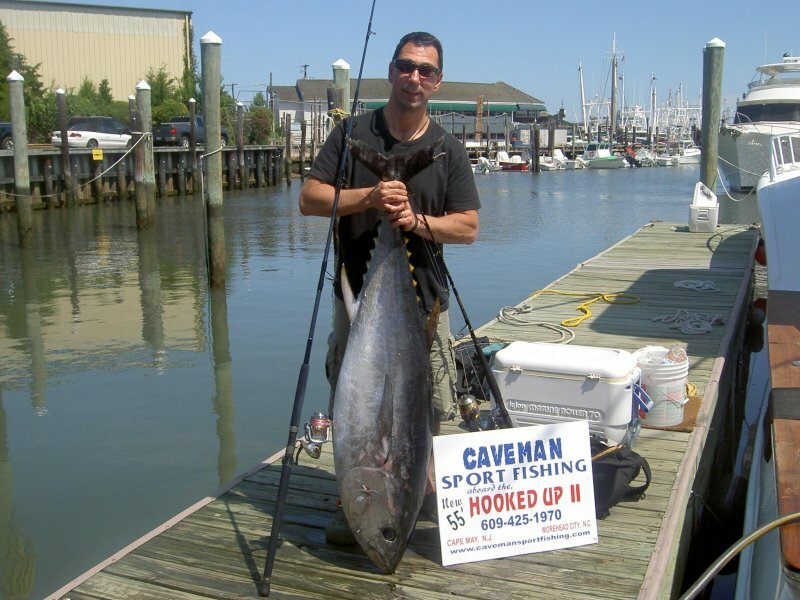 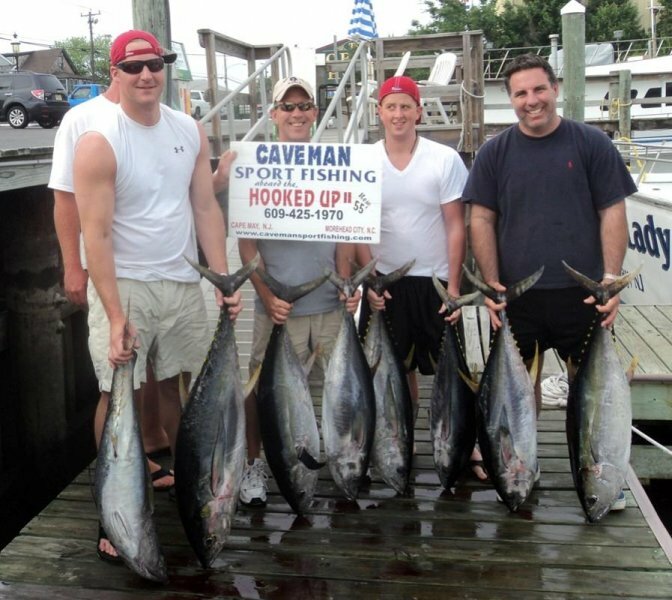 All we need is for some Yellowfin Tuna to start showing up within range of Cape May for us to start our offshore season and hopefully this will be happen by mid-June. 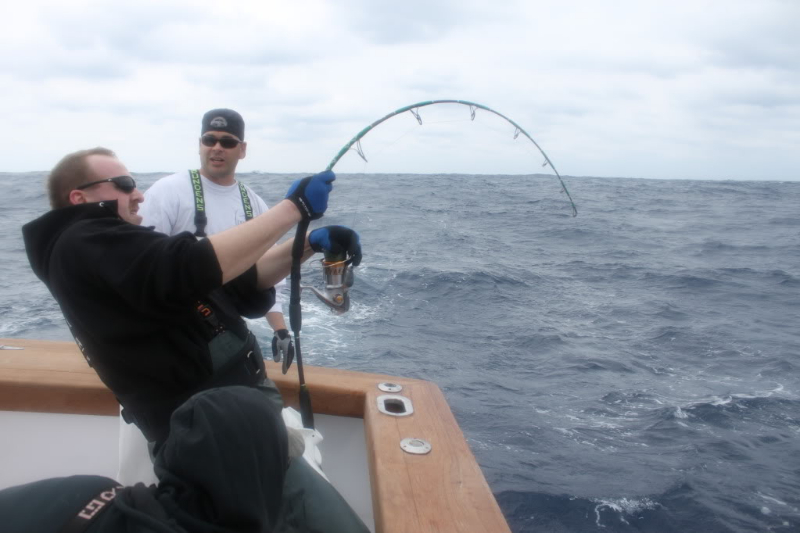 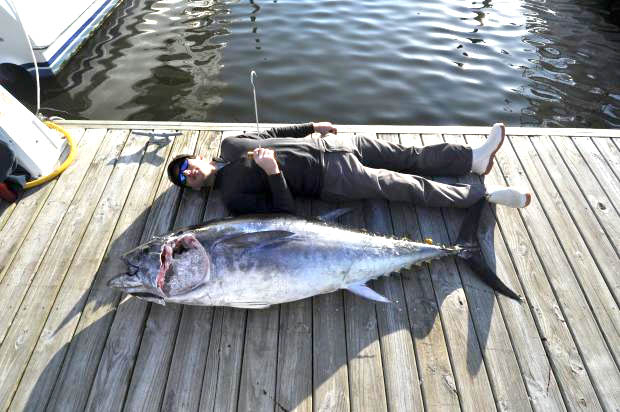 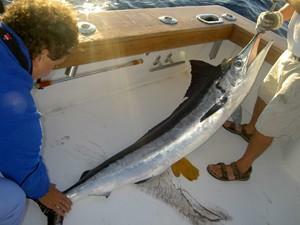 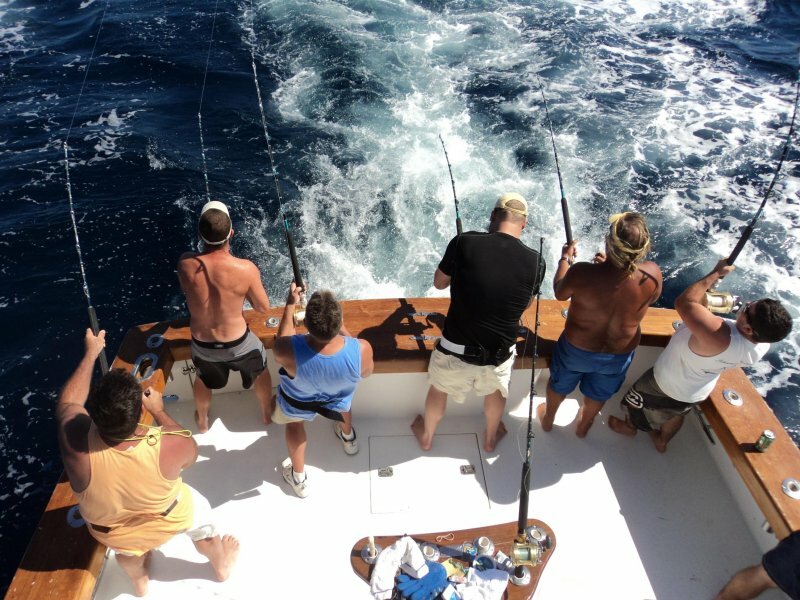 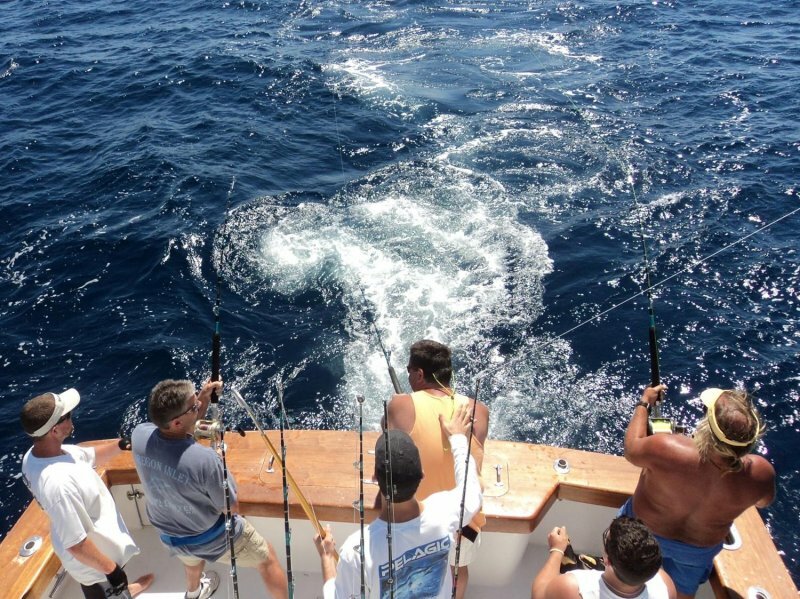 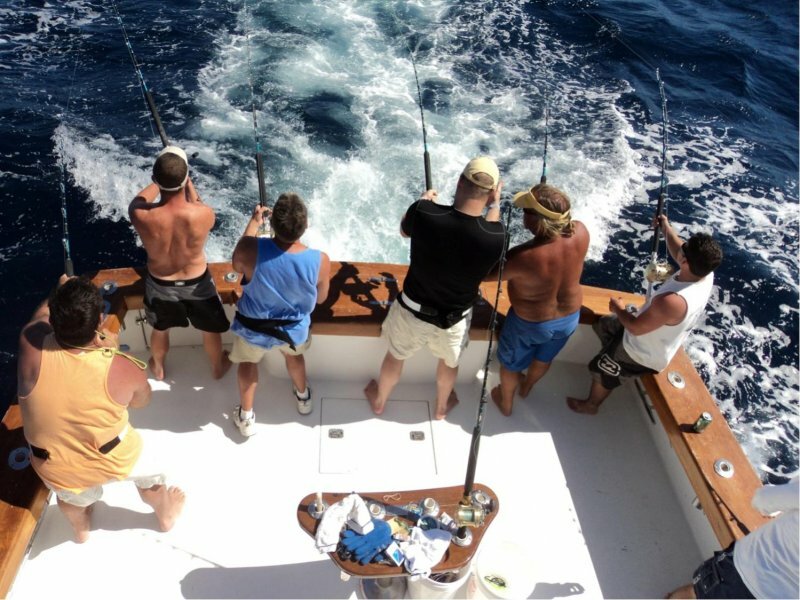 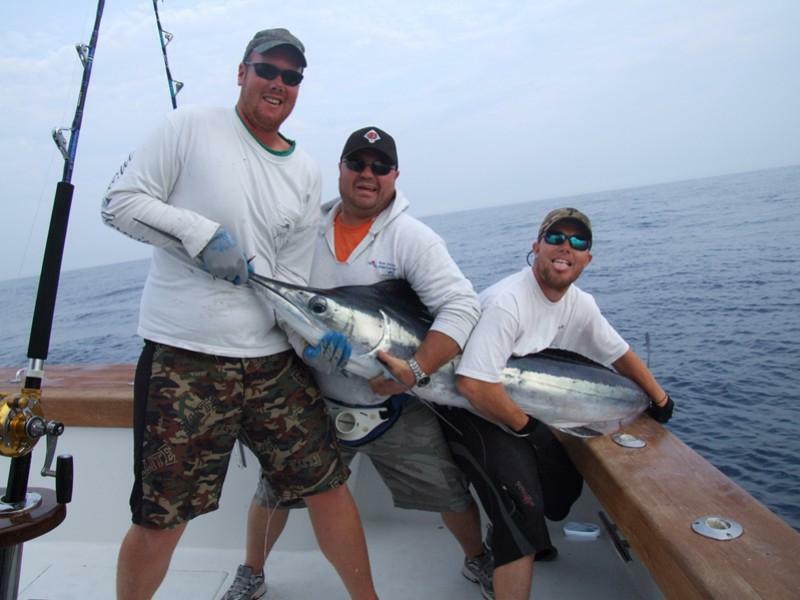 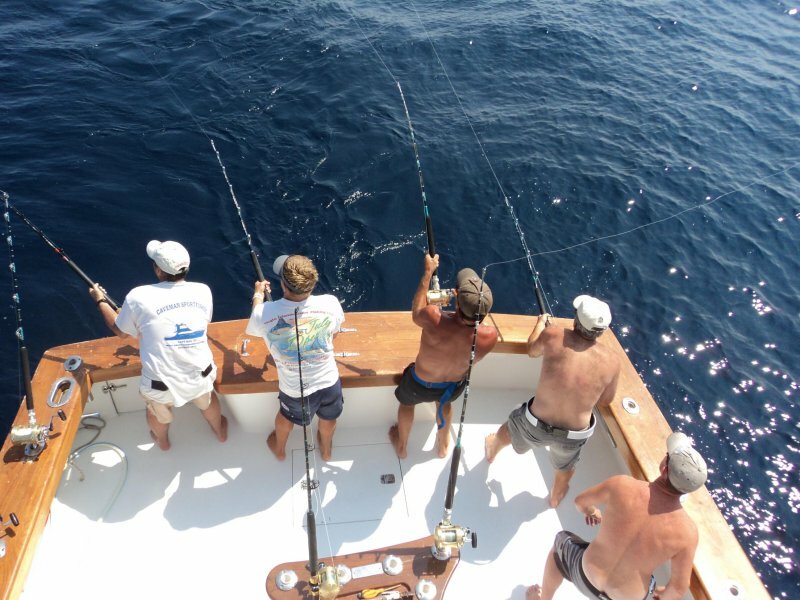 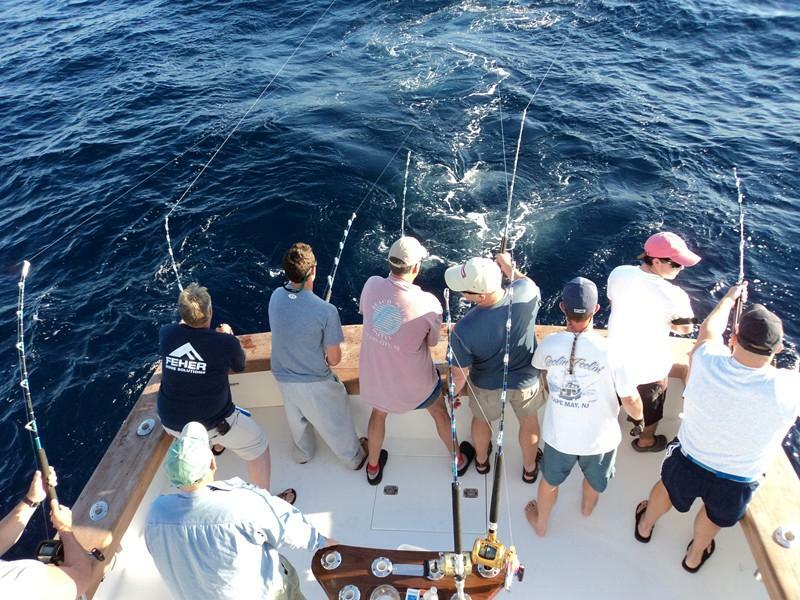 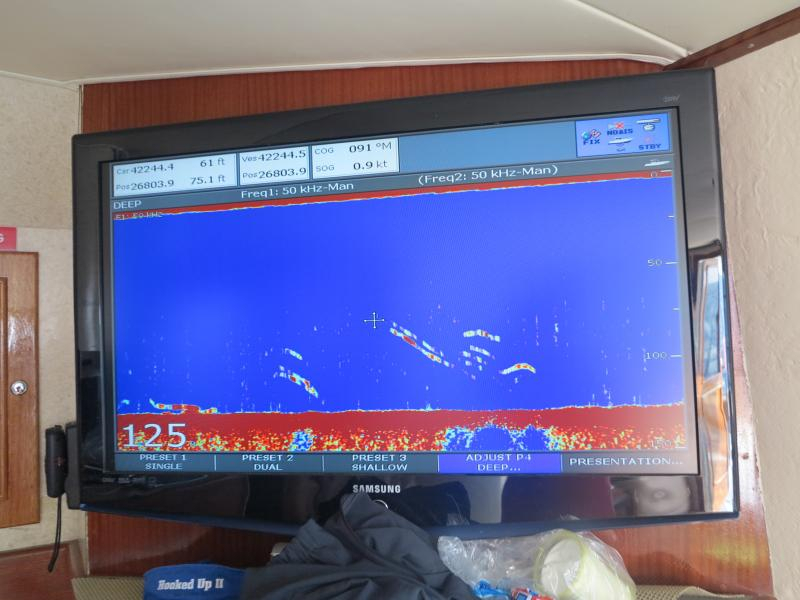 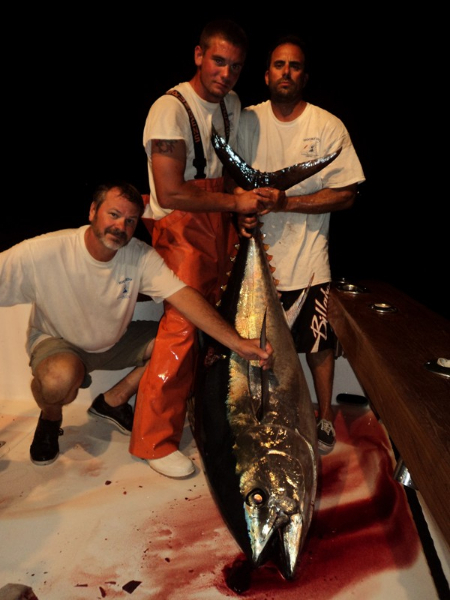 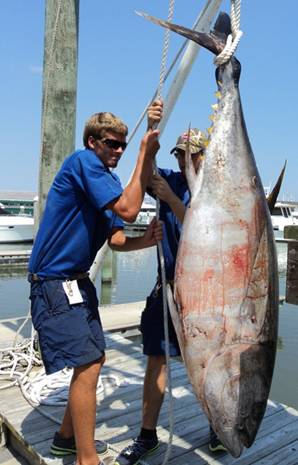 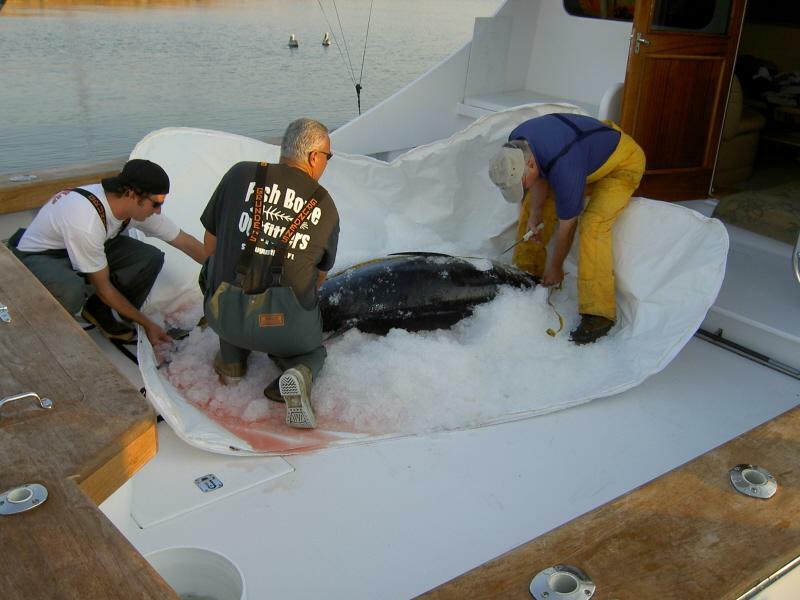 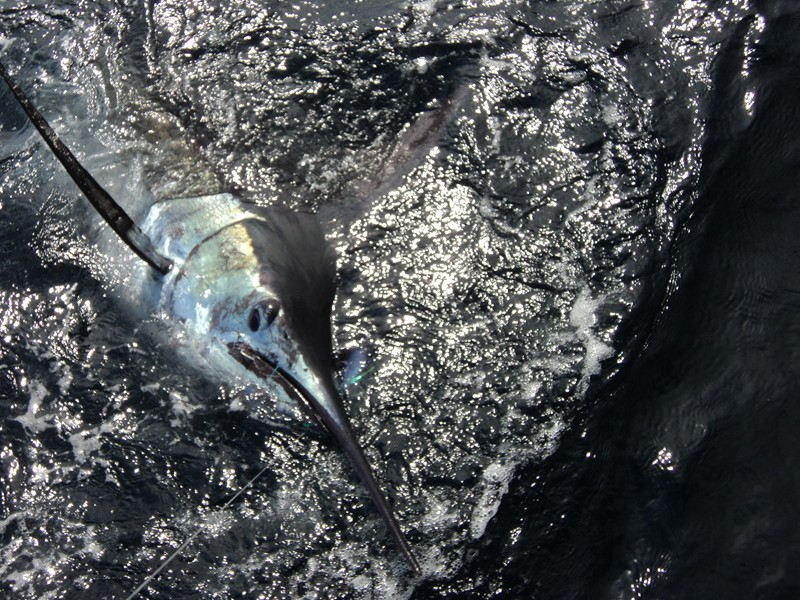 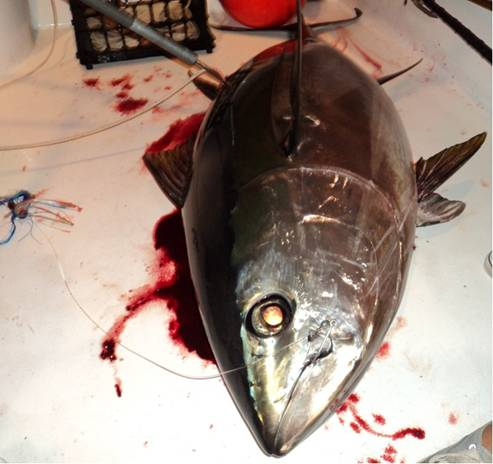 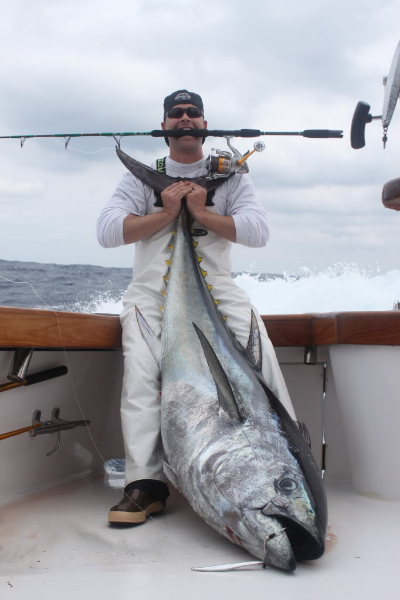 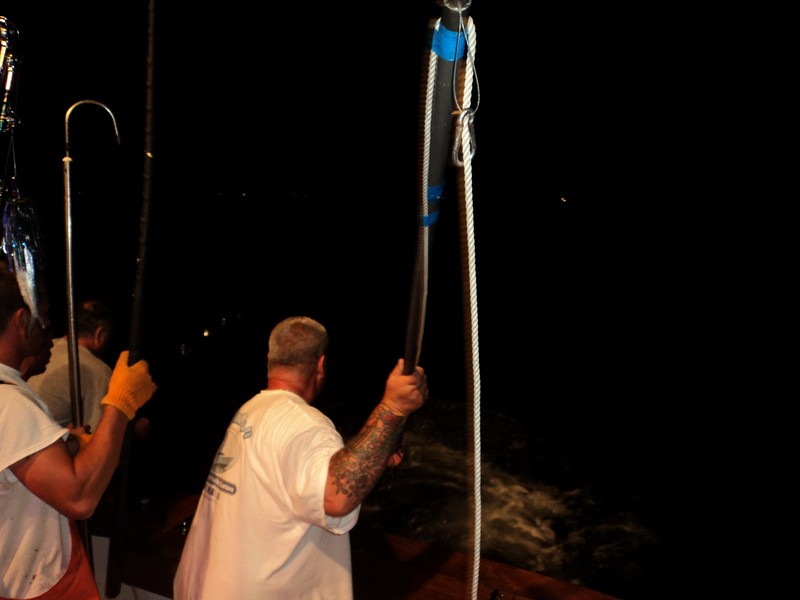 This offshore season we plan to target Big Eye Tuna as much as possible. 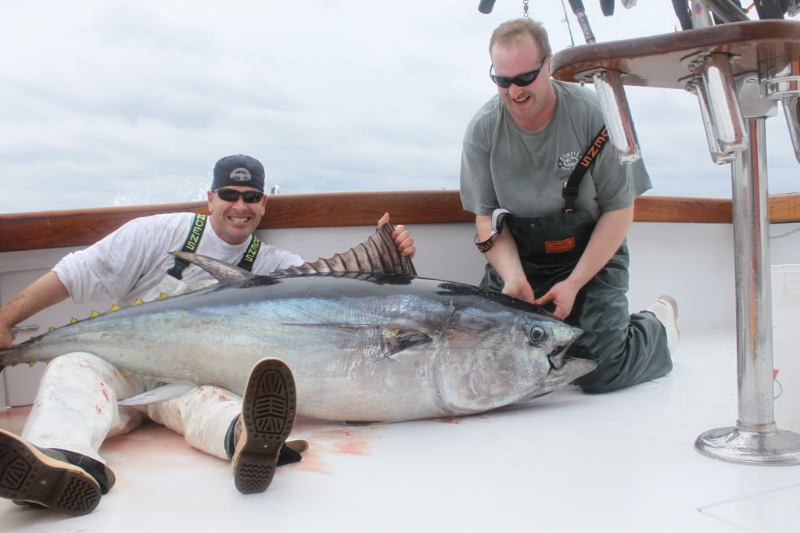 For that reason, we strongly suggest booking the 24 or 30 hour trips as the best Big Eye bite is often late afternoon to nightfall long after the day troll boats have gone home. 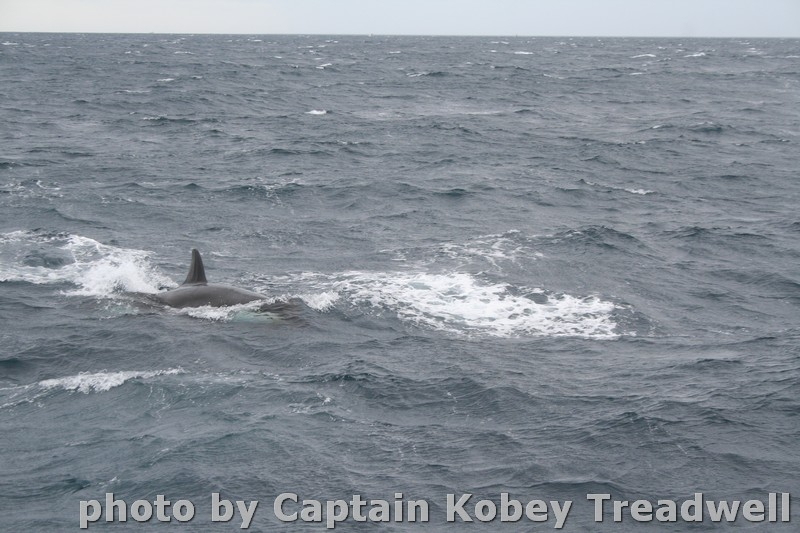 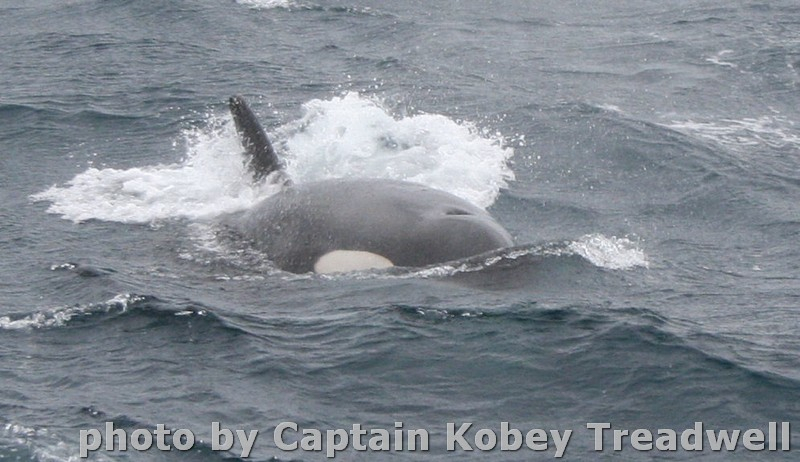 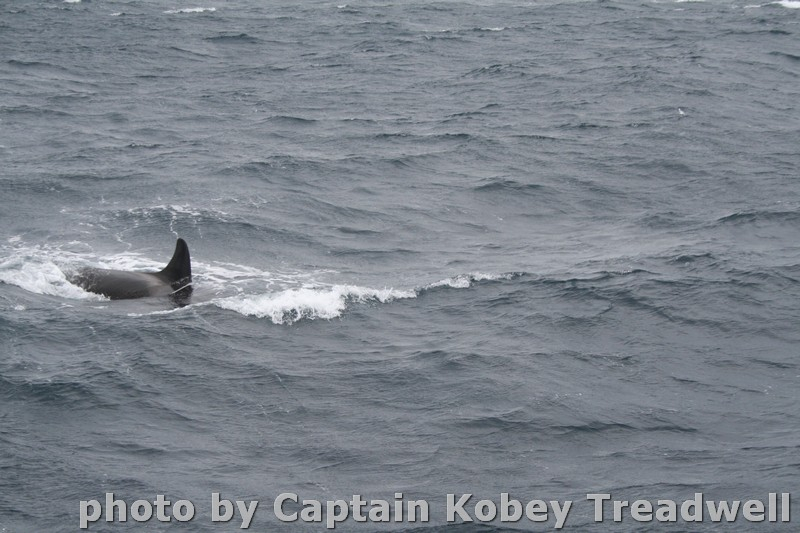 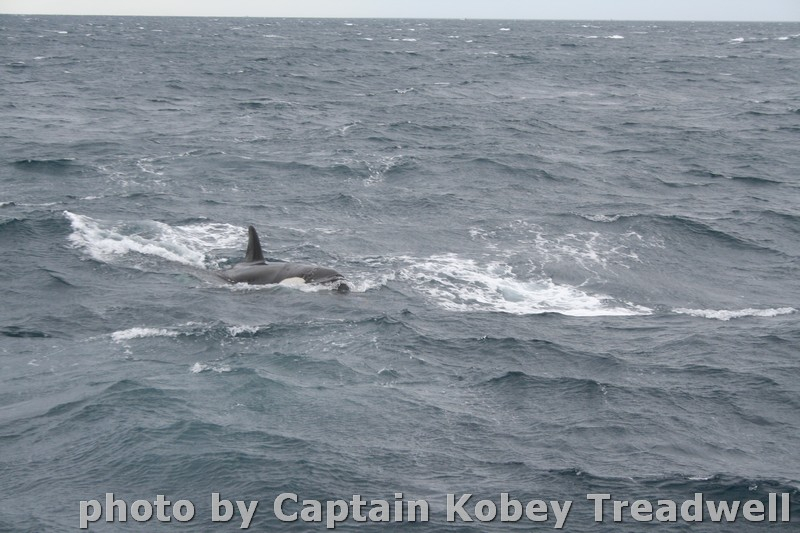 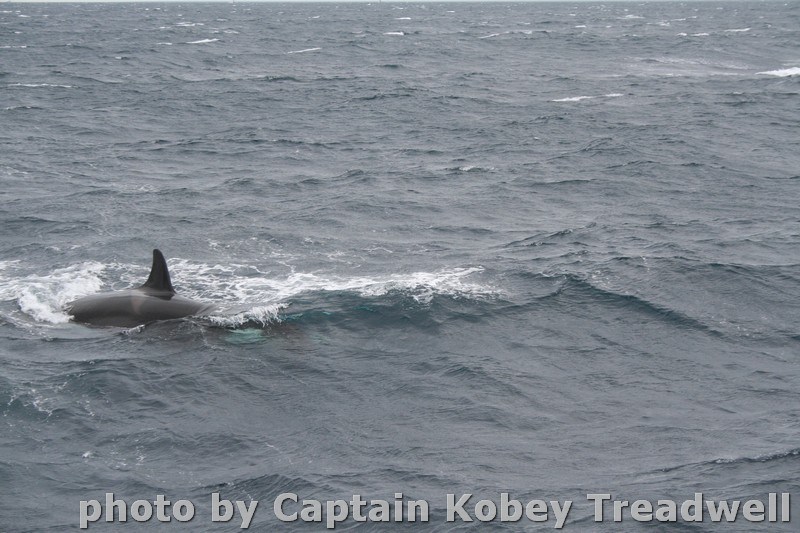 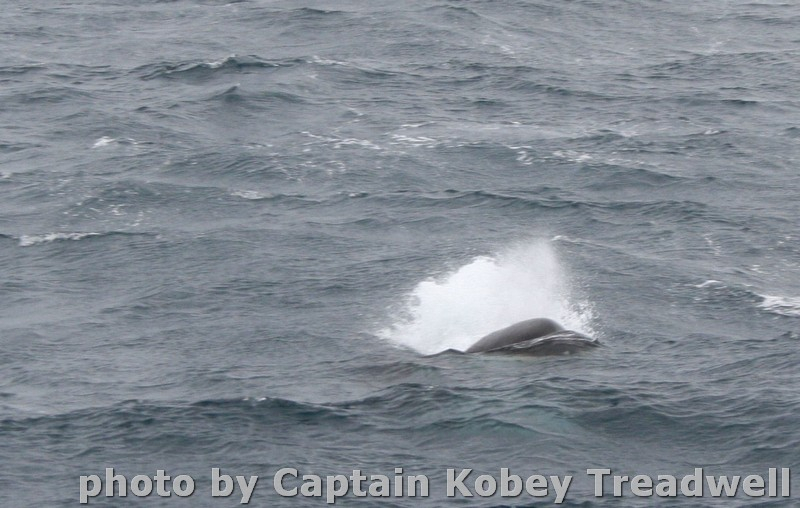 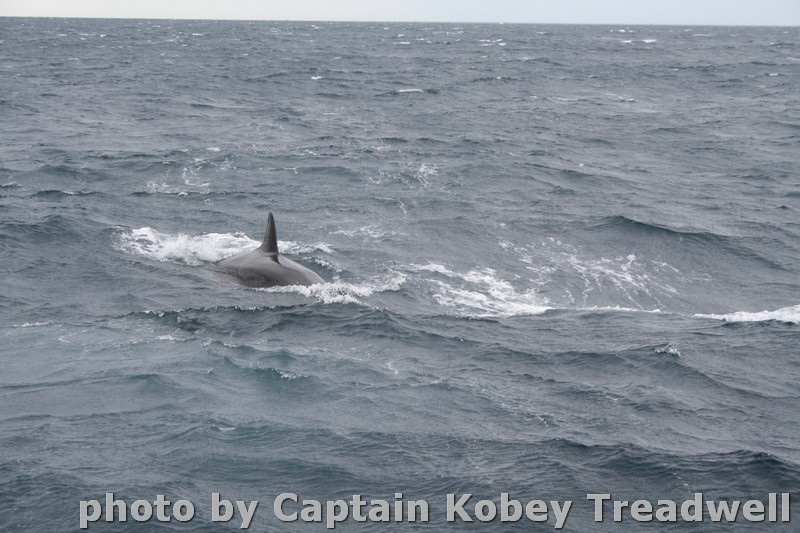 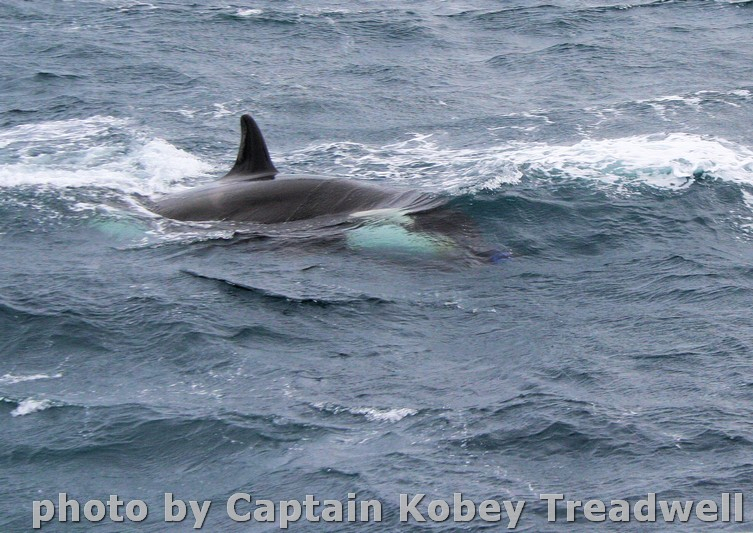 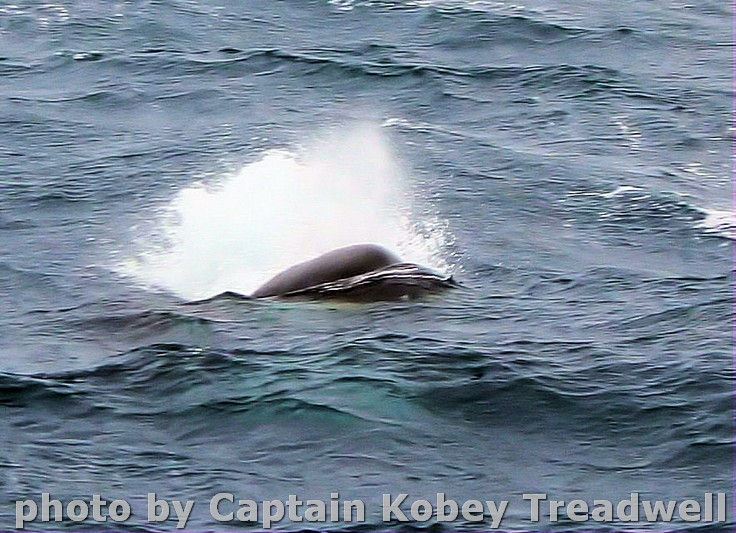 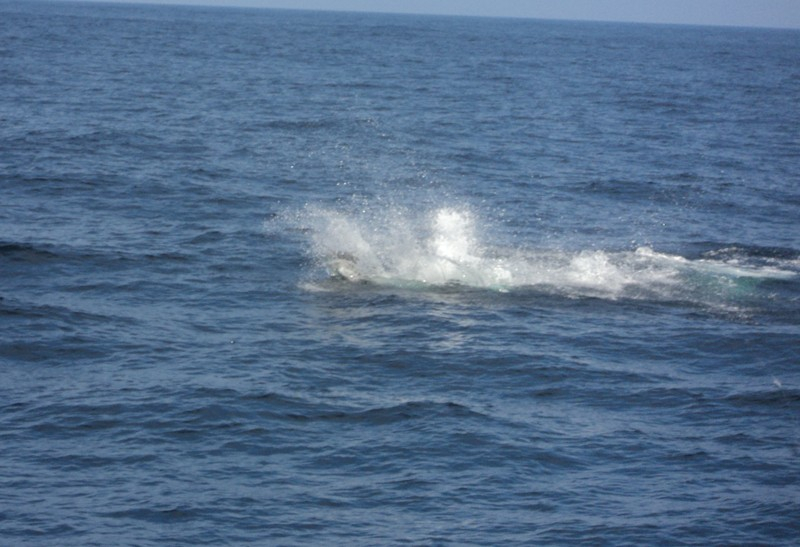 They feed at depth during the day and come up into the warmer water in the late afternoon to warm up after spending most of their time down in the colder deeper water. 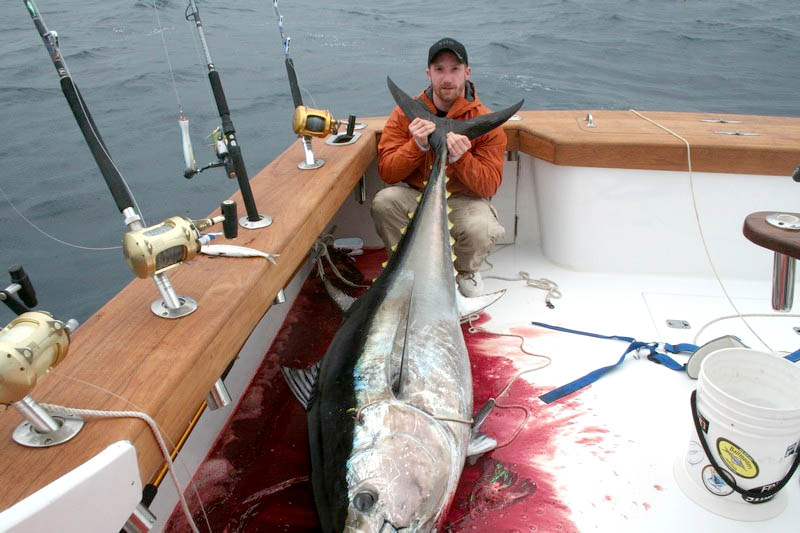 It will not be long now, but until we feel the right water that is holding tuna is within range we will be holding off going offshore, however; we are ready to go to the deep anytime now! 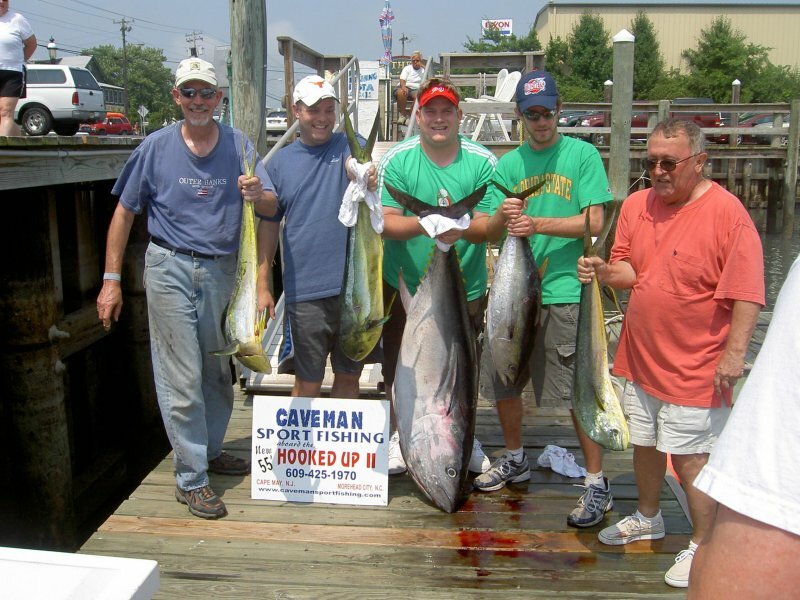 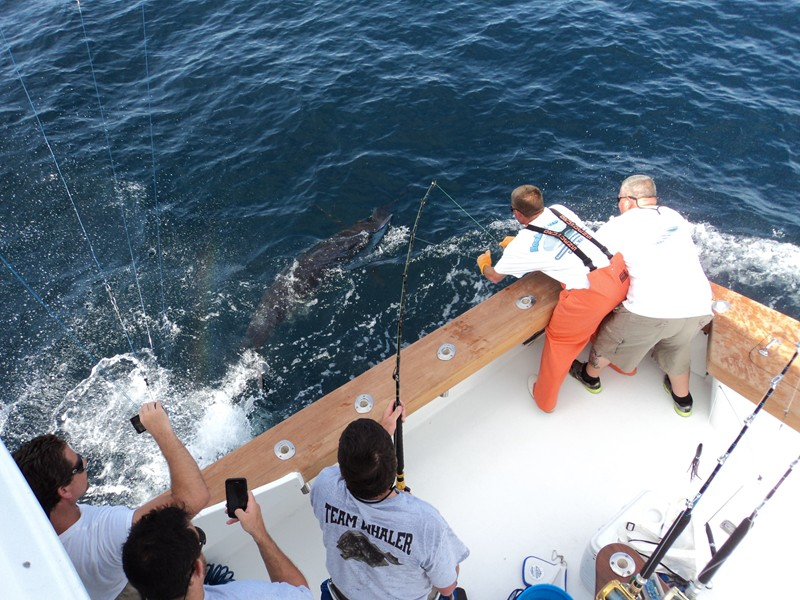 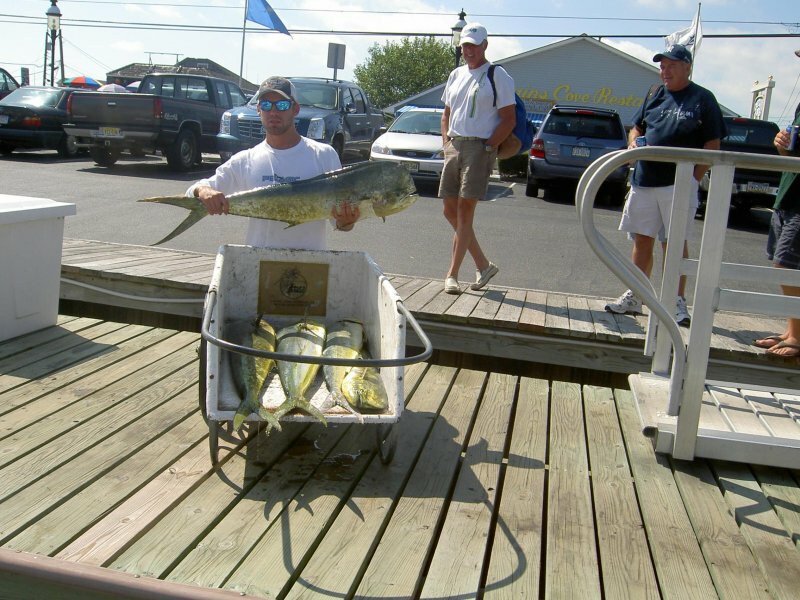 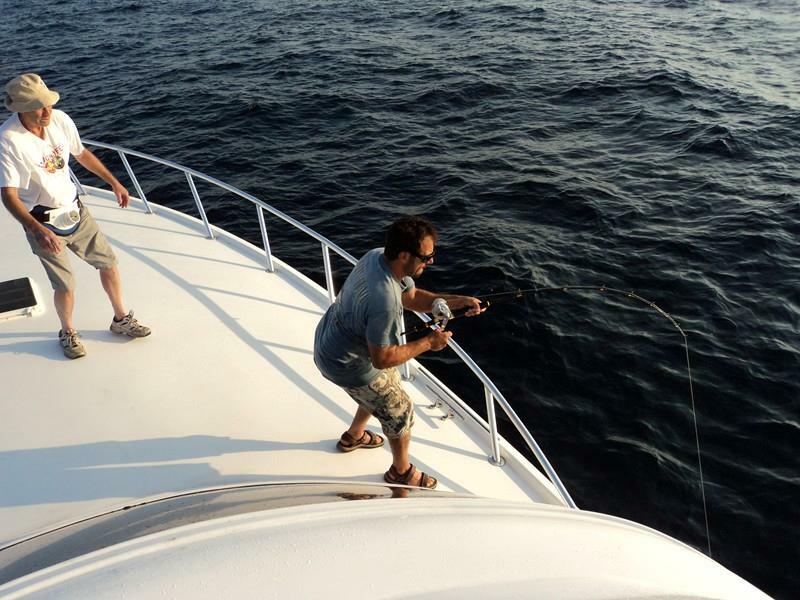 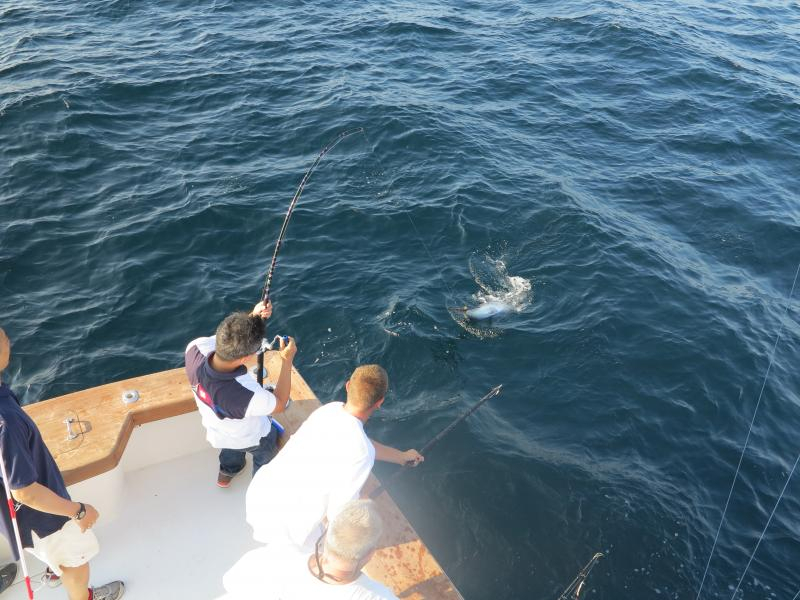 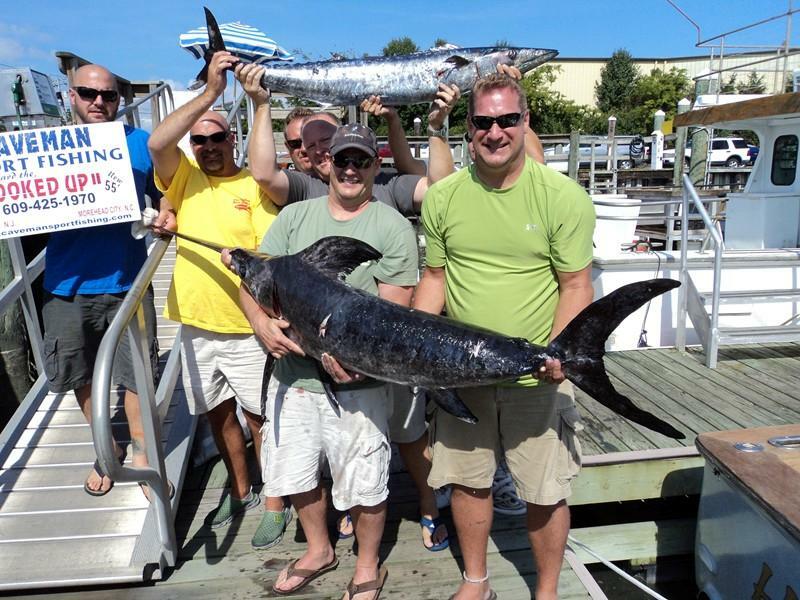 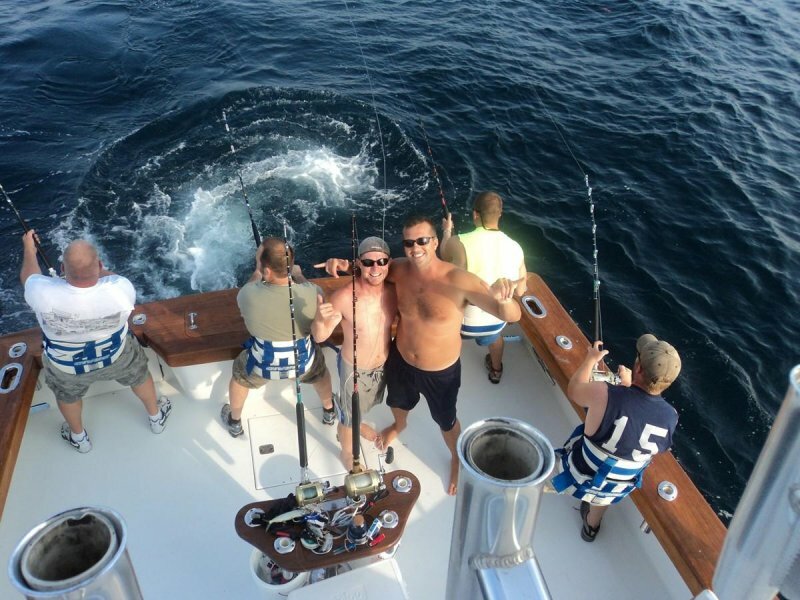 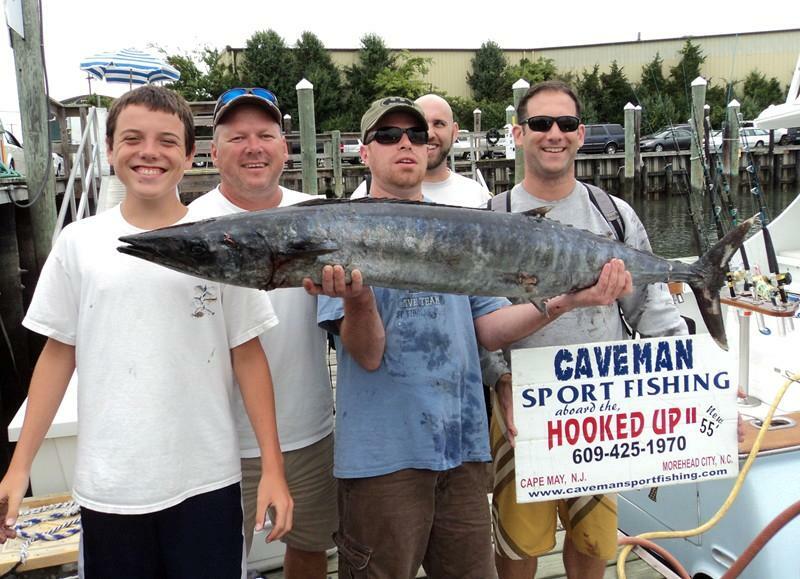 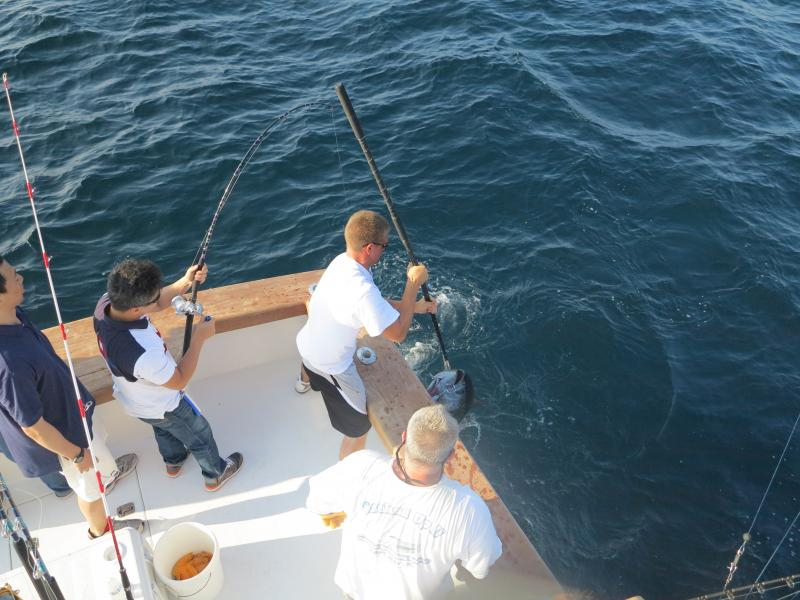 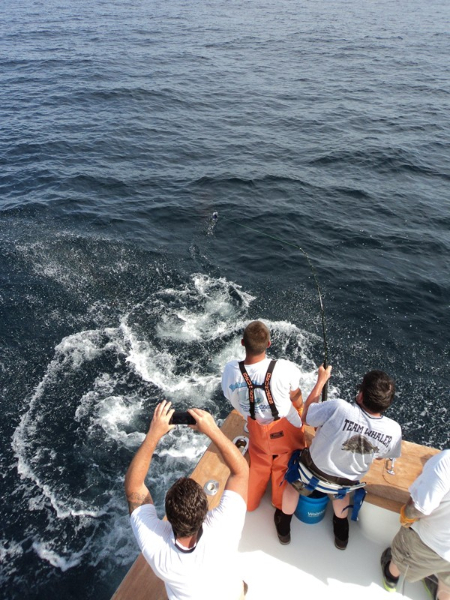 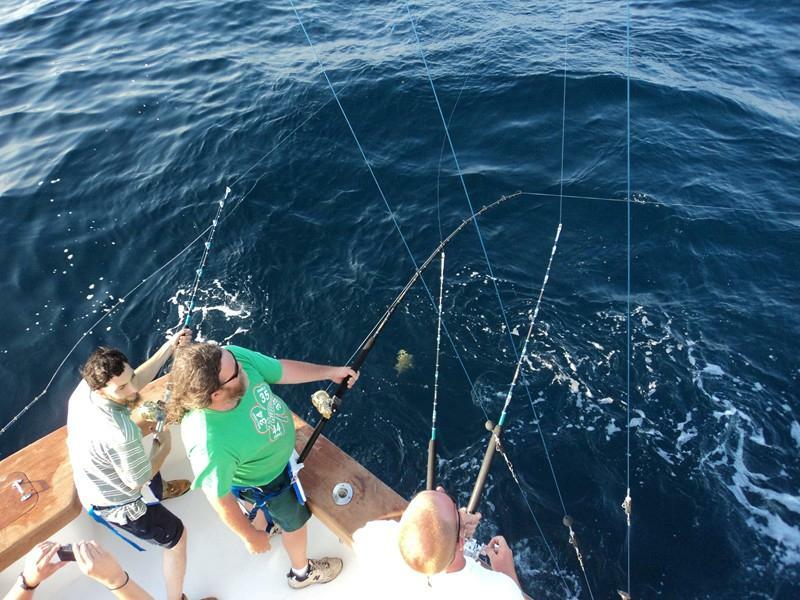 PS: We probably will have room for the South Jersey Shark Tournament this year for a few singles or small parties. 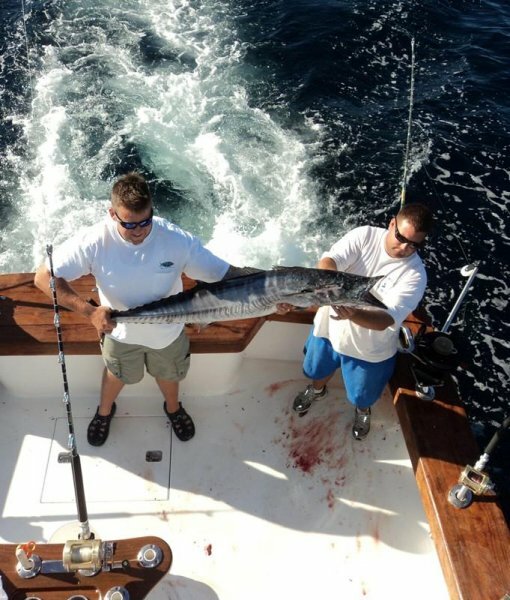 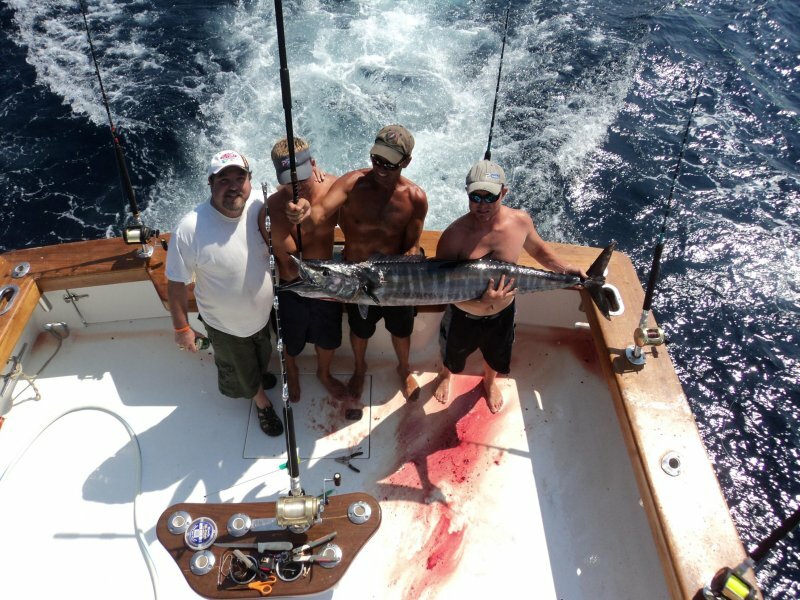 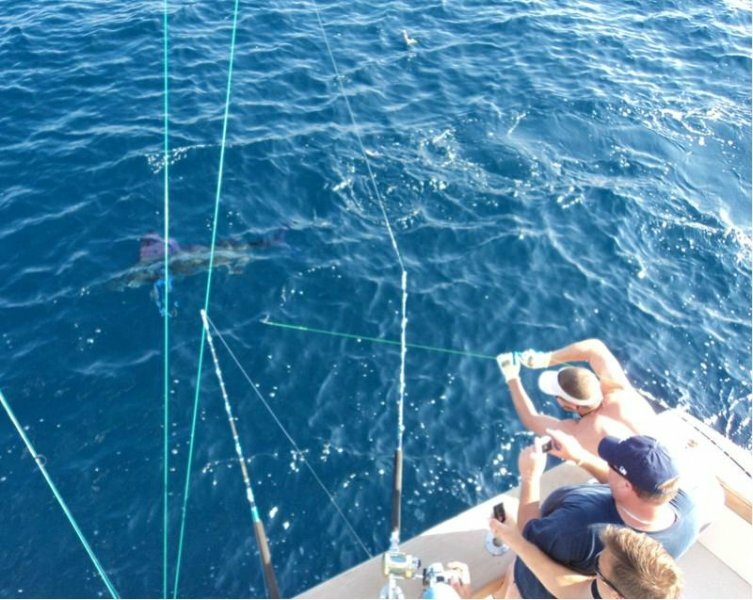 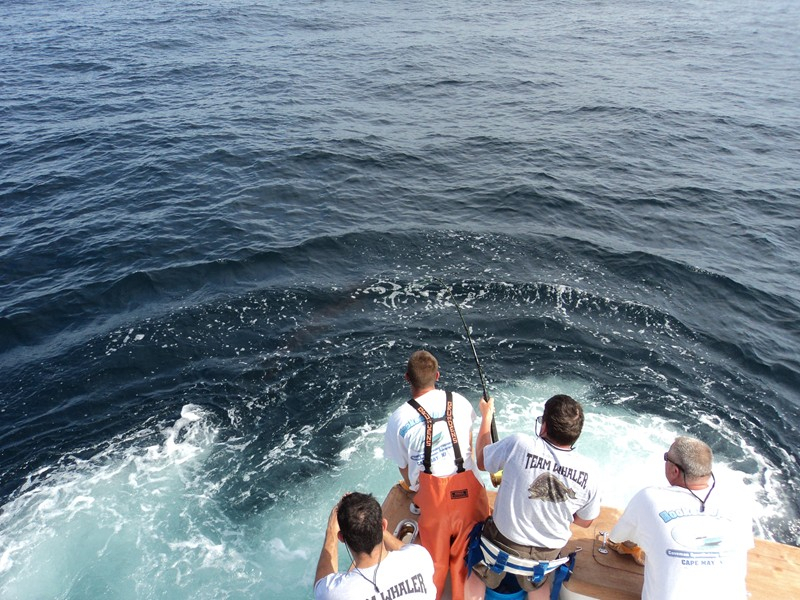 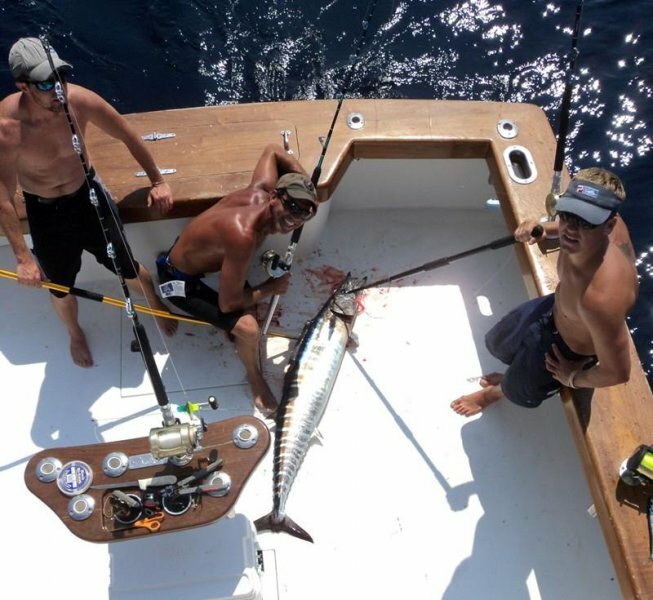 Last year my crew members, Vinny and Ray caught the largest Mako in the tournament while working on a private boat and in the 2010 tournament we had the most sharks caught overall of any charter boat.